Cell Phone Evidence Expert Witness--Records, Mapping, Mobile Forensics, Etc. California - Serving: All States. Certified Fraud Expert Karren Kenney specializes in fraud analysis for corporations and assistance for law firms in all fraud related matters throughout the country. She has over 20 years of litigation experience and has been involved with hundreds of fraud cases. 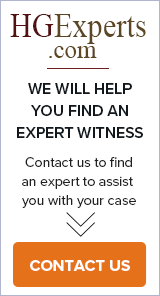 Chase Technology Consulting provides expert witnesses services in the areas of computer forensics, mobile forensics, and digital evidence. Commonwealth Computer Forensics serves the Commonwealth of Virginia providing digital forensic services. We specialize in the collection, preservation, and examination of potential evidence and the recovery of lost, missing, or hidden data. Since 2002 providing competent Computer Forensic and eDiscovery Solutions & Expertise.